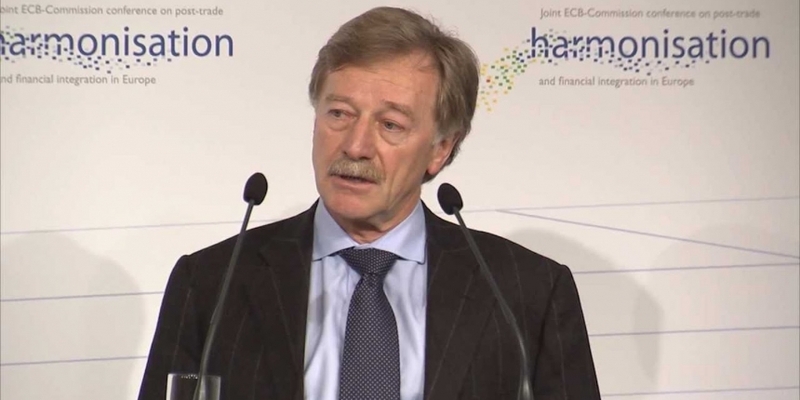 Yves Mersch, member of the executive board of the European Central Bank (ECB), has said innovative new payments technologies like the blockchain have the potential to disrupt card-based payments. Mersch made his comments while addressing a Bank of France Conference in Paris on 18th January, in a speech titled “Card payments in Europe – latest trends and challenges”. Discussing the emergence of innovative payment solutions, including distributed ledger technologies, the banker predicted they could “impact payment behaviour and the usage of cards and other traditional payment instruments in the years to come”. Mersch cited instant payments as one of the challenges for card providers, explaining that the Euro Retail Payments Board, set up by the ECB, has decided that the European Payments Council should develop an instant payment scheme for euro payments based on the SEPA credit transfer system. Elaborating on distributed ledger technologies, he predicted that they could potentially have a “profound impact on the whole financial ‘ecosystem’”, disrupting both the use of ‘traditional’ payment instruments and services and the payments processing industry. More choice for consumers and businesses is beneficial, he said, provided new payment solutions offered are secure and efficient and that all providers “play by the same rules”. Still, card transactions still have “huge” growth potential in the EU, according to the ECB board member, so long as an instant payments system is realised and a “harmonised, competitive and innovative European card payments area” is achieved via “standardisation, interoperability and appropriate security measures”. He warned, though, that innovative payment solutions will pose a challenge to the cards industry. Competition will come from instant payments based on the SEPA credit transfer, from payment initiation services in the e-commerce sector, and from the adoption of distributed ledger technologies.